CLEVELAND, Ga. – James Murphey, MD; Rebecca Durham, DNP, APRN-BC; and Carrie Sisk, FNP-C; and the staff of Northeast Georgia Physicians Group (NGPG) Cleveland welcome Wylie Newton, MD, to the practice. 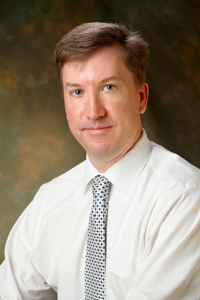 Dr. Newton has practiced with NGPG in Gainesville for almost a year. He received his medical degree from the University of South Alabama in Mobile, Ala., and completed his residency in family medicine at the University of Alabama-Birmingham. He is a member of the American Medical Association and the American Academy of Family Practitioners. Dr. Newton is certified by the American Board of Family Medicine. NGPG Cleveland provides comprehensive services for routine and preventive health evaluations, same-day appointments, X-rays and EKG, work, school and sports physicals and immunizations. To schedule an appointment at NGPG Cleveland Monday through Friday, between 8 a.m. and 4:30 p.m., call 706-865-1234. Same-day appointments are welcome. The center is located at 2578 Helen Highway. NGPG Cleveland is an affiliate of Northeast Georgia Health System, Inc.